The 2500-ADP1 is a wiring adapter which converts analog field wiring from Series 500 base format to the 40-pin connector used on CTI 2500 Series® analog I/O modules. 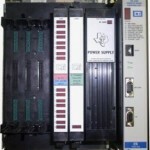 This allows rapid upgrade of existing Series 500 systems to newer and more supportable 2500Series®. 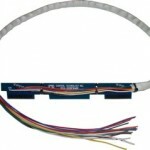 The 2500-ADP2-DISC is a wiring adapter which converts discrete I/O field wiring from the Series 500 base to the 40-pin connector used on CTI 2500 Series® I/O modules. This allows rapid upgrade of existing Series 500 systems to newer and more supportable 2500 Series®. 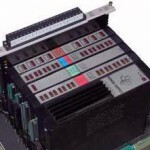 The 2500-IADP is an I/O Adapter which allows the use of CTI 2500 Series® I/O modules in Texas Instruments Series 500 I/O bases. It provides a transparent path for upgrading old Series 500 systems without the requirement to completely replace the system. The 2500-PADP is a Power Supply Adapter which allows the use of CTI 2500 Series® Power Supplies in Texas Instruments Series 500 I/O bases. It provides a transparent path for upgrading old Series 500 systems without the requirement to completely replace the system. The 2500-RADP is an RBC Adapter which allows the use of CTI 2500 Series™ Remote Base Controllers in Texas Instruments Series 500 I/O bases. It provides a transparent path for upgrading old Series 500 systems without the requirement to completely replace the system. 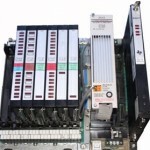 The 2500-R4500 is designed to replace various older style of Texas Instruments Programmable Controllers (520/530/530C/530T) and/or Distributed Base Controllers. The 520/530/ DBC units are commonly referred to as « oil pan » or « sump » units due to their boxy shape with ribbed fins.